April 18th 2018,World biggest ring rolling machine was successfully test running in Shandong province,China,this test cost 2 days,two trial products OD over 6m,each weight 35tons which were one time formation successfully,product surface is bright and clean,flat,and other parameters also meet the requirements,in next month,OD 10m,12m,16m ring products and height 3m cylinder will be trial made,currently world biggest forged ring is 10m,the record will be cut earliest before May 1st. 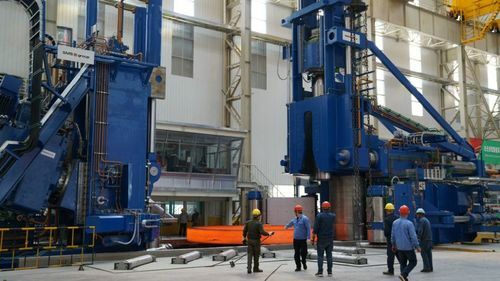 This ring rolling machine was introduced by Shandong province,China,It can make dia 16m,height 3m,weight 200tons many kinds of big scale disc,ring,cylinder forgings,radial rolling force 2500tons,axial rolling force 1250 ton,which is world biggest ring rolling machine both radial and axial direction,equip with 1350 ton hydropress,ID 17.5m vertical heat treatment furnace,dia 19m,dept 5m quenching water flume,dia 16m vertical CNC lathe to make up high alloy and nonferrous metals big forgings project of shaidong,China.and cooperate with team Mr Li from China top metal research institute,it is typical project of made in China 2025,will support nuclear power,refining,manned space flight,big scale winder power project in future. 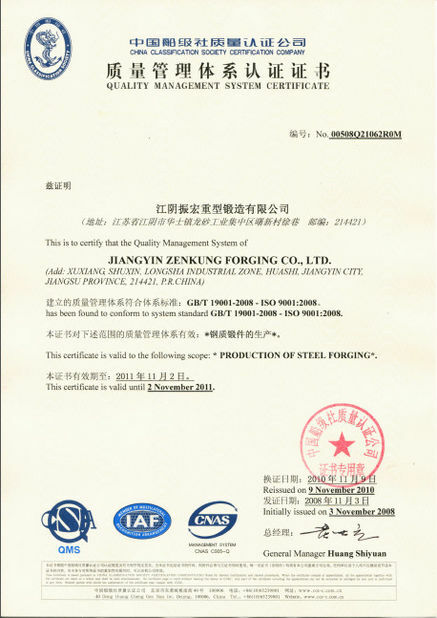 Big forgings project got much attention since it started,so we need to ask what’s the application for such big forgings of this project.today we will make a simple introduction by some pictures,due to some technical and confidential reasons,this introduction only for reference,it will be appreciated if you leave comments. Note,not only used in wind power tower,but lots of cylinder equipment,for instance below rocket barrel aslo connected big flange. Haha,chief engineers,scientists,now flange dia will be increased to 16m,what’s this big dia for,purchaser is no longer to worry about. Following picture is dia 10m slewing bearing made by LIEBHERR,you can imagine how 16m look like! This is the “core” of nuclear power station,called reactor pressure vessel,why we say it is “core”,firstly it’s position is in the center of nuclear power station,secondly it is the place where nuclear reactor happens,fuel rod is just in it. 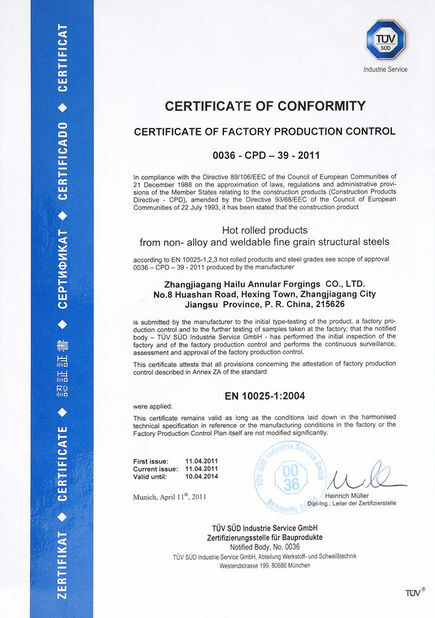 This pressure vessel is welded by barrel section,perhaps the procedure:barrel forgings made in China are sent to downstream factory for assembly. That’s it,although the introduction is simple,some pictures are not accurate,but for you to understand the application of big scale forgings is enough,next we will continue to share news of this project,this is a miracle of mankind industrial manufacturing history!